If you need tracking please precise, as it will add a couple of euros to the package. For MK47 Mic: Stuff all components. For MK-U47 Mic: Leave R6 / R7 and Pattern Terminal out. Feed 0V and B+ of the Terminal output to the mic only. A PCB made for beeing able to build stepped pot using 1206 SMD Resistors for those blue Uraltone Switches. don't feel like Elma's, but they do their job just fine. 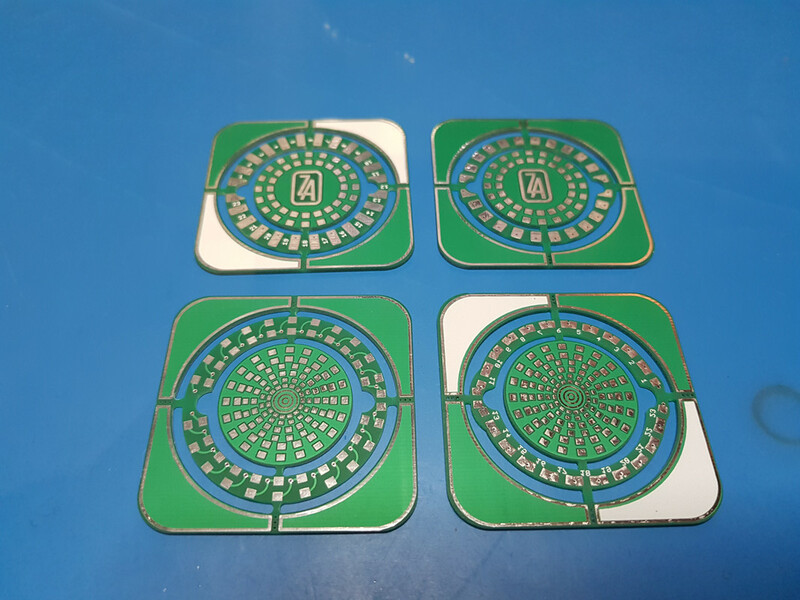 The center coin is here for practice purpose, just use it with 1% Resistors to get your marks. There is two versions, one that that has 40mm overall Diameter (Left) and a 37mm one (Right) for if using them in a 1U case. 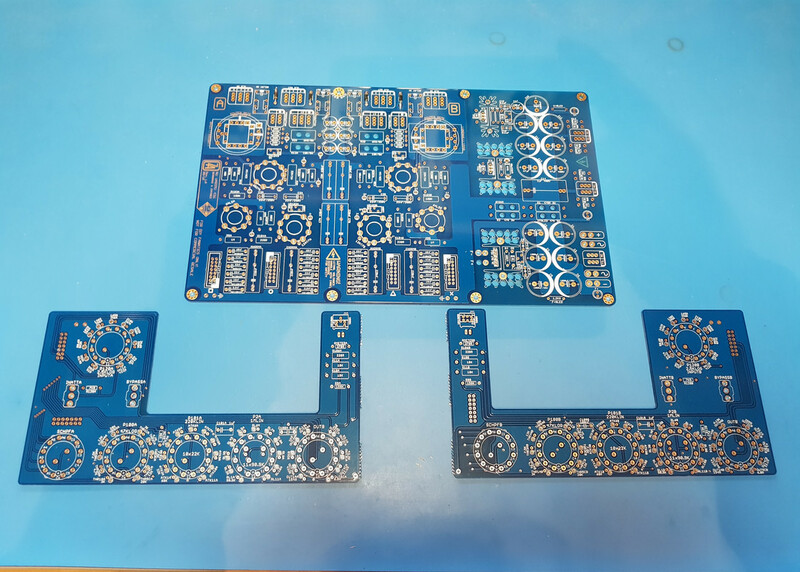 I,am slowly stuffing your pcb , which case model you used from modushop. Handle was hand made sometime ago, (not the leather) just the aluminium attachments. 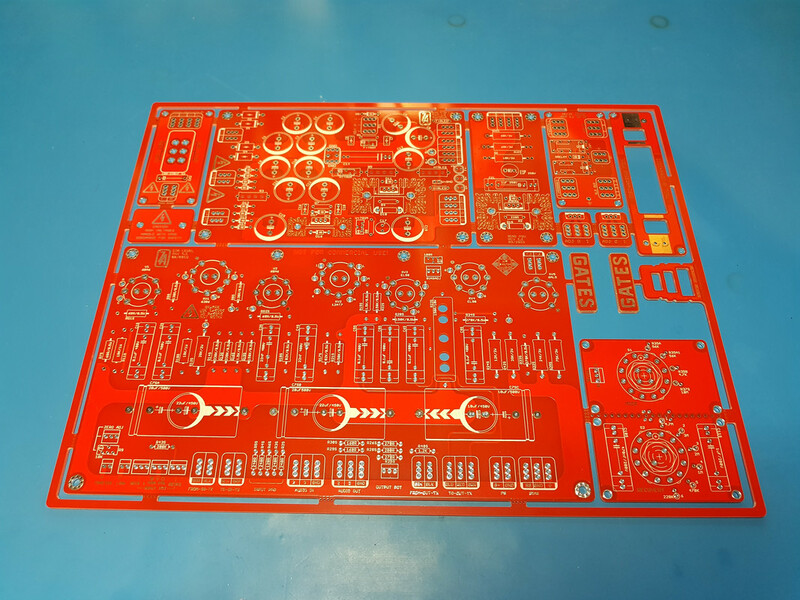 the pcbs arrived and they look great!! And very solid too! 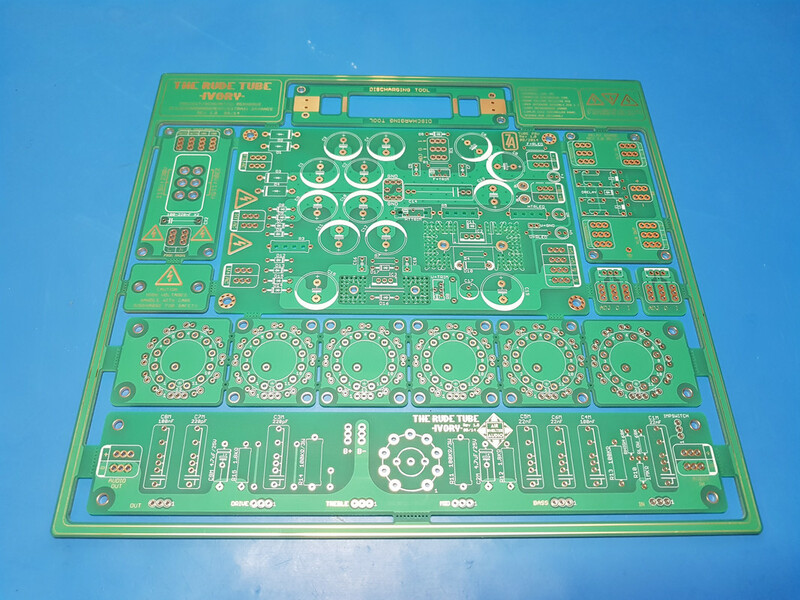 Received the MK47 pcb yesterday. Looks great and sturdy too! It will be stuffed into Dan's psu case (just received as well). 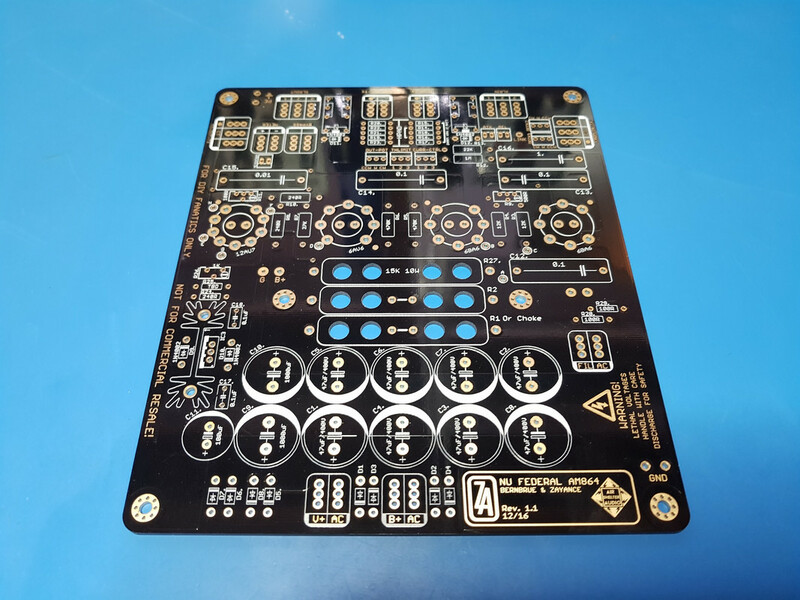 Do you still have the PSU pcb's? Does R4 have both the 680 ohm and the 330 ohm together? R1 does not have the 1K ohm resistor, Just the choke connection, or both? the slash means either or. never both. Yes it means both together for R4 k ( or only one of them if during testing you need to tweak), the double slash is for saying in parralel, and it's true that I could have written "or" on R1 silkscreen to say resistor OR choke, but I tought that would have been obvious. in case i don't need a pattern switch. 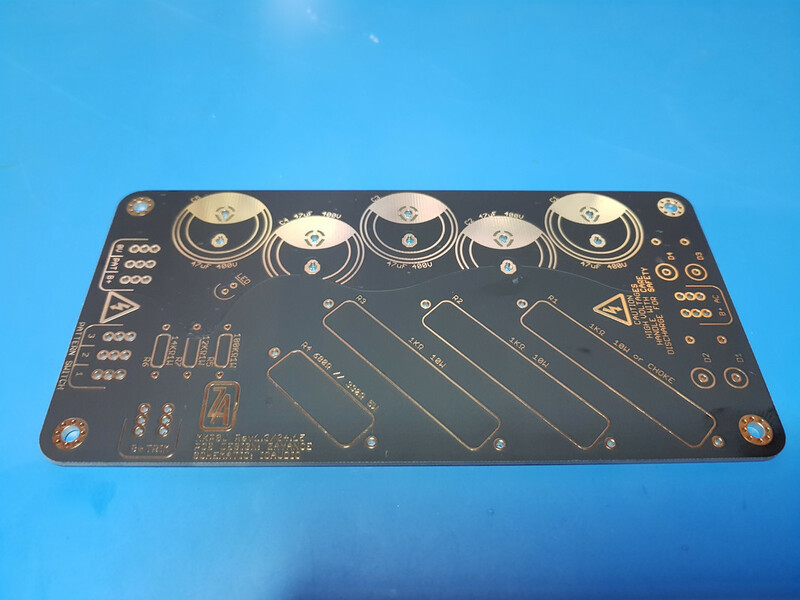 which parts don't have to be soldered to the board?? can i leave some out?? i have a 2nd question regarding R6. is a 14kOhm with 1/2 Watt ok also?? i have two 1 Watt resistors which will add to 14,28 kOhm when soldered in series. will this work, too?? Depends on what polarity you want. I don't get your question, you mean you have a 12K resistor and want to add 2x 1K to get to 14K that's right? thanks. good to know. but to explain my question a little bit. the pattern switch will be on the mic itself. therefore i need no pattern switch possibility in the psu. so my question is, if i can leave out the 12k and the 14k resistor on the pcb? or do you think a 1/2Watt 14k resistor is ok??? i have one of those around. No it should be at least 1W. yes you're right. the psu will be for ioaudio's upcoming U47 clone/body. the latest info ist, that he will make the pattern switch under the grill of the mic, like it is on the original u47. Well not sure if he will drop the reed relay, so for now better just wait and see, but the PSU won't differ i think, only pattern switch connector will be left out, and if somethings change for the "newer" model concerning it's PSU, with his approval, i could redraw the thing. Updated first post with a Little upcoming project.